When your dentist or hygienist tells you that you have a cavity on one of your teeth, he or she identifies the tooth by name or number. For example, your dentist may advise you that you have an early cavity on your first upper molar on the left side, also known as tooth #26. 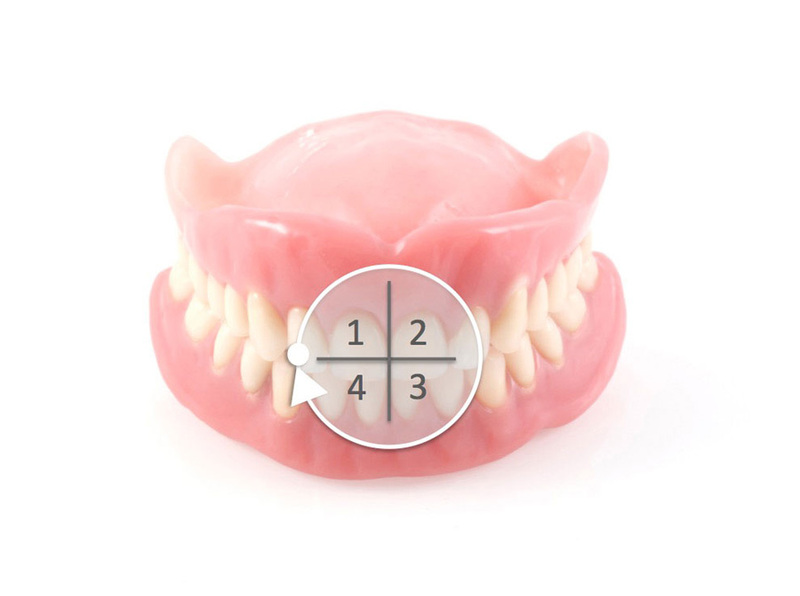 This tooth numbering has been carried out by the FDI World Dental Federation and standardizes the nomenclature of dentition among all dental health professionals. This is also how dental insurance companies identify teeth on claims or treatment cost estimates. *Note: for primary dentition, it is rather quadrant 5, 6, 7 and 8 respectively. Each quadrant consists of a central incisor, the adjacent lateral incisor, the adjacent canine, premolars and the following molars. 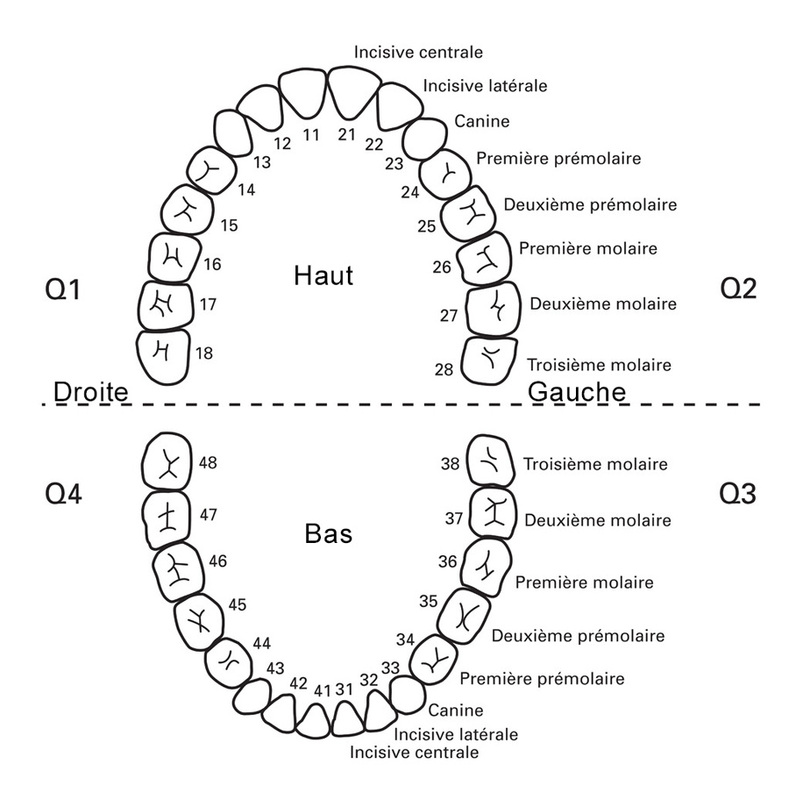 Thus, the logic behind the tooth numbering is as follows: the first digit refers to the quadrant, while the second digit refers to the location of the tooth in the quadrant. The central incisor is the first tooth in the quadrant while the third molar (wisdom tooth) is the eighth and last tooth in the quadrant. Each tooth surface has a name. For example, a cavity or another anomaly can be located on one or more surfaces of a tooth. In addition, billing for treatments is made by the surface, which explains why fillings on two different premolars may have different fees. In writing, we use the first letter of the surface to describe the area in question. 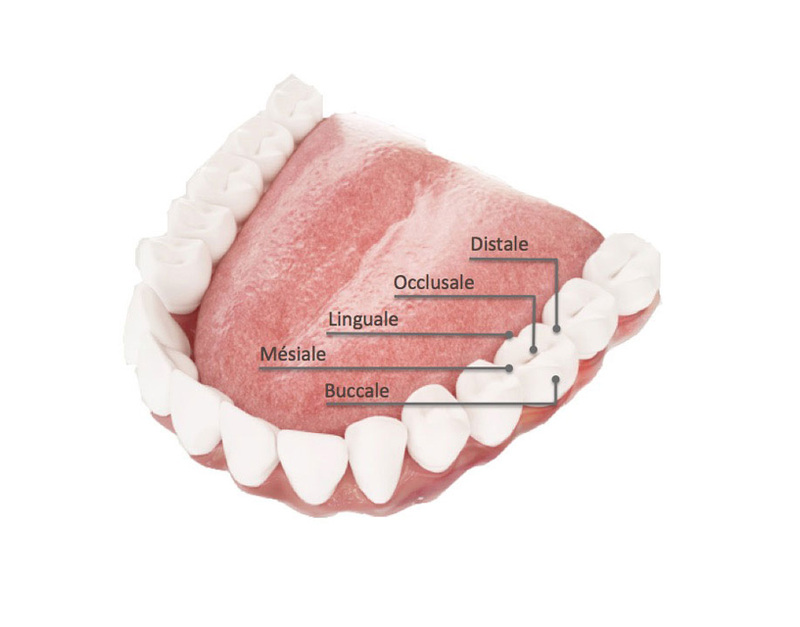 For example: tooth #37 O (O = occlusal).